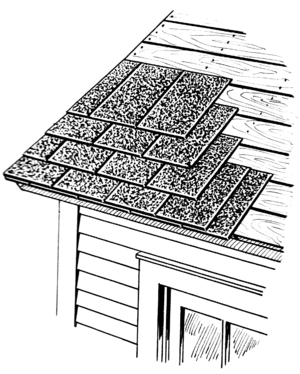 DIY roof replacement materials and how to install it. Last time i was here i blabbed about how to get on the roof safely and now we’ll talk about how to remove the existing roof and prep for the new roof that requires smooth and nail free deck. When installing a new roof, capping the ridges are the last thing to do but since we are installing a new roof, we start removing the capping first. Pry all the roofing nails with RED ripper and remove all the caps. Hold on a second; did you tie yourself down? Gravity and height are very dangerous to mess with. Hook your lanyard to the rope-grab or some call it choker and adjust your rope length as you work. Normally i would rip 2 sheets at a time and make myself a pile to grab with my ripper and launch it in the trailer if trailer is just there. If not the wheel barrow has to make few trips. 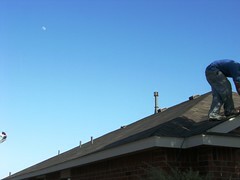 Once all the shingles are cleared off the roof, broom the dirt and dust of the deck as much as possible. Its time to check for any nails left behind and pry it all out. Check for any lose, bowed, spongy and rotten plywood and if any replace. Now we have a solid and clean roof deck to prep for the new roof. Depending on the pitch of the roof we will determine how many feet of ice and water shield is needed. Are there any metal valleys? If there is any, i would install 3 feet of ice folded in to 1.5 from bottom of the valley to the top before the valley. Once the metal valleys are in and chalked lined 4 inches at the bottom and 2 inches at the top we will install 3 feet of ice and water shield on both sides of the valley to sandwich the metal for a life lasting seal. I always sandwich my valleys doesn’t matter what the pitch is. If this is a typical one story bungalow with 3/12 pitch, we need 9 feet of ice and water shield. If it was 6/12 slope six feet of ice and water shield would be more than enough but 3 or 4 twelve pitch needs to be sealed very carefully. 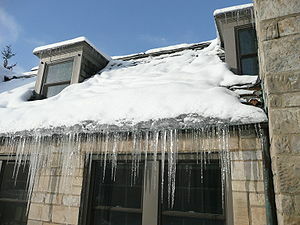 Ice dams are more likely to back in to the house if this is a low slope home and there is not enough ice and water shield. It’s very easy to install. Overlap lines are printed on the roll. Drive 3 roofing nails and unroll the length you need and cut with a straight blade. Hook knife works too but you have to be quick. 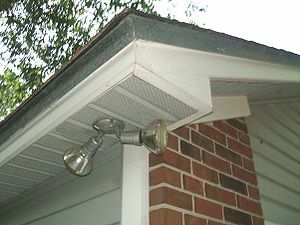 Align the ice&water with the drip-edge if there is any, if not install drip-edge. Peel the bottom film and stick, peel the top film and stick. Re-align if needed and nail the top line with hand nails. Repeat the same step any times as you like 3, 6 and 9 feet. Cover the rest of the exposed deck with #15 or #30 felt paper with hand nails or staples but i personally hand nail it. 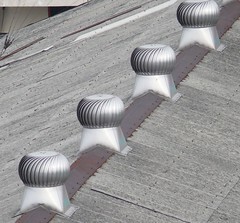 Once the entire roof is prepped it should be water tight. Installing the shingles does take time but not as much as removal and prepping. I only install step at a time. I’ll build myself a staircase along the edge or a valley and work myself up. Some like to install it straight up but that would be incorrect. Manufacturer will void your warranty if it is not installed according to manufacturer guidelines. Every bundle has the installation details printed on the wrapper. If using an air gun be sure to adjust the debt of the nail. 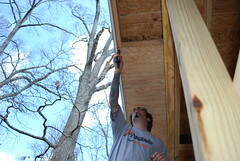 If nails are going thru the shingle, adjust the compressor and the gun for a smooth landing. Once nails are flush with the shingle than we are in business. 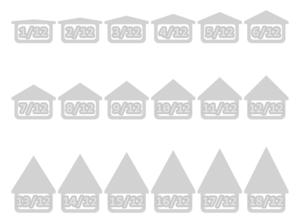 4 nails per shingle if it’s a 25 years 3-tap shingle, 5 to 6 nails per architectural high wind shingles. When capping the ridges, use chalk line for a straight finish. Minimum 2 nails per cap. Caulk any exposed finishing nails, around the vents and plumber boots. Good clean up around the house will complete the projects. We are a local roofing company in Ottawa Ontario offering quality roofing, siding, foundation repairs and snow removal services with pride.